Having access to nature is the first step to connecting with it. The answer for Prickly Pear was to make their open spaces accessible to everyone. Through its Peaks to Creeks Initiative, the Prickly Pear Land Trust partnered with National Guard training facility Fort Harrison and purchased 180 acres of land across from the fort and a Veterans Affairs hospital. By adding a parking lot and three miles of trails, the partners helped turn this parcel of land into Tenmile Creek Park, which connects the fort and VA to the larger community. 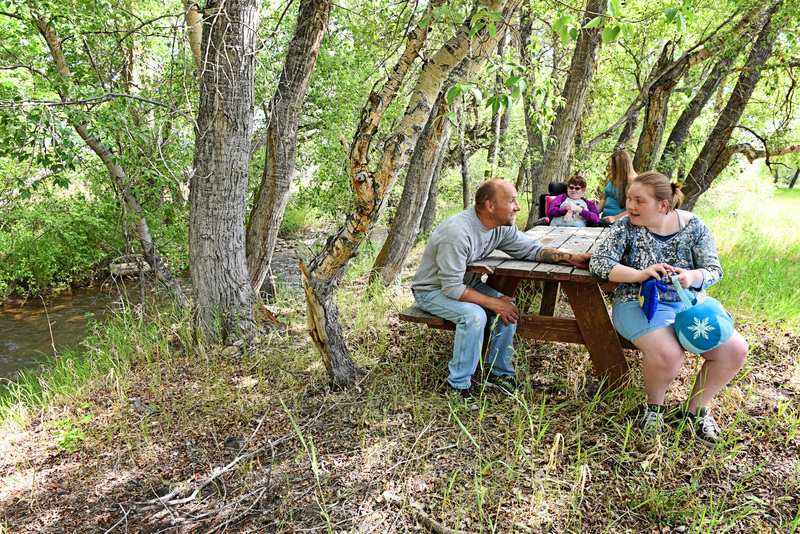 The park is equipped with wide, flat trails and guiding to ensure that people who are not fully mobile can safely enjoy the commuter routes and scenic picnic areas. Now, veterans, soldiers and patients can safely access the park with all of its recreational opportunities and healing benefits. “In a hospital situation, it can be a high-intensity experience. Anything we can do to lower that level of intensity can make a big difference,” says Greg Normandin, a physician at the local Veterans Affairs hospital. And Prickly Pear helped make that difference. To support the work of Land Trust Alliance members such as the Prickly Pear Land Trust, give to the Land Trust Alliance, which serves land trusts across the nation.